Nancy Green is an accomplished artist who exhibits her Paintings in the on-line Vianne Korhorn Art Gallery and her Fine Art Prints on-line at Fine Art America. Nancy paints many varied subjects, from urban landscapes to fantasy. Her beautiful and innovative art has been shown at both local and national galleries and art exhibits. Since working with Marge Schneider, Nancy has seen her business grow and looks forward to an increasingly successful career. 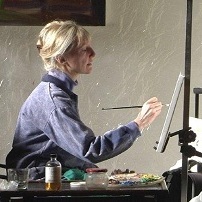 http://www.viannekorhornart.com and http://www.fineartamerica.com [Vianne Korhorn].